WBC President Mauricio Sulaiman, from Mexico, held a press conference at the Ciragan palace in which the WBC super middleweight division ruling has been set. WBC champion Anthony Dirrell has been ordered to fight the WBC champion in recess, David Benavidez, and Avni Yildirim would be participating on the same card against an opponent to be named. The winner between Dirrell and Benavidez will fight next against Yildirim. Benavidez was the champion, but was stripped of the full crown after testing positive for cocaine in an out of competition random drug test. Dirrell won the vacant title last month with a technical split decision over Yildirim. Yildiirm and his team protested the scorecards and the officiating, demanding an immediate rematch. 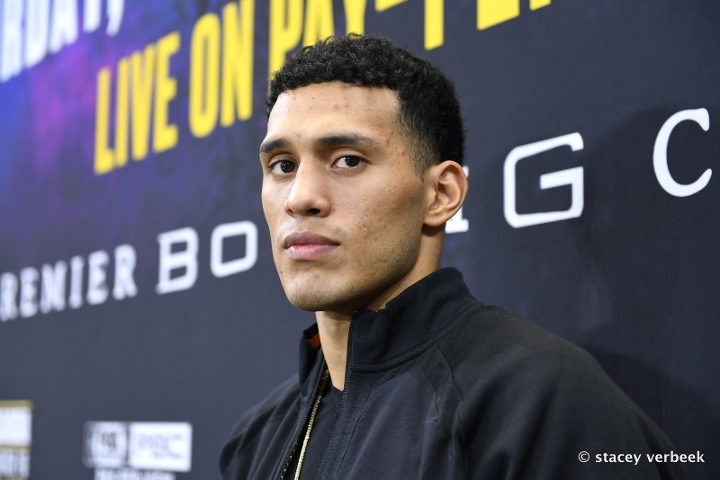 Benavidez returned to the ring earlier this month on the Mikey Garcia-Errol Spence undercard at AT&T Stadium in Texas, where he demolished J'Leon Love in two rounds. Sulaiman said…. “I am very proud of these three fighters. Dirrell is a two time WBC champion who has overcome adversity and defeated cancer, Benavidez is a young man who has come back from the evils of recreational drugs and has found a path for a new life and Yildirim is a national hero hoping to become the first world champion from Turkey, who has dedicated his life with sacrifice and passion to make his dream come true” . [QUOTE=REYESdelBOXEO;19615621]DAVID "DOOMSDAY" BENAVIDEZ will obliterate anyone in his path. "Everything he hits , he destroys! "[/QUOTE] I've heard he's pretty good at destroying an 8th of cheng as well.